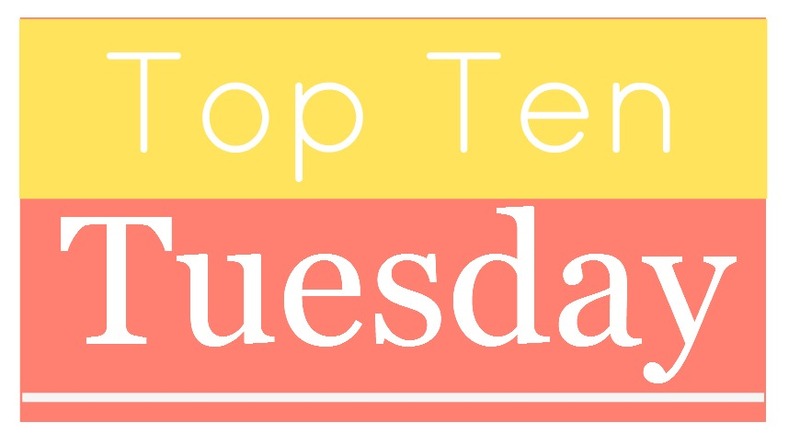 Top Ten Tuesday: Books on my Fall TBR List! Wow! 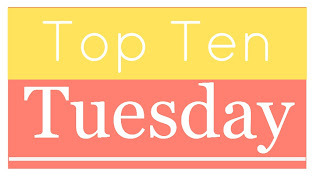 It has been awhile since I've participated in a Top Ten Tuesday! I knew this topic was coming up, and as you know, lists are my favorite. :) I almost let this one slip by, but here I am! 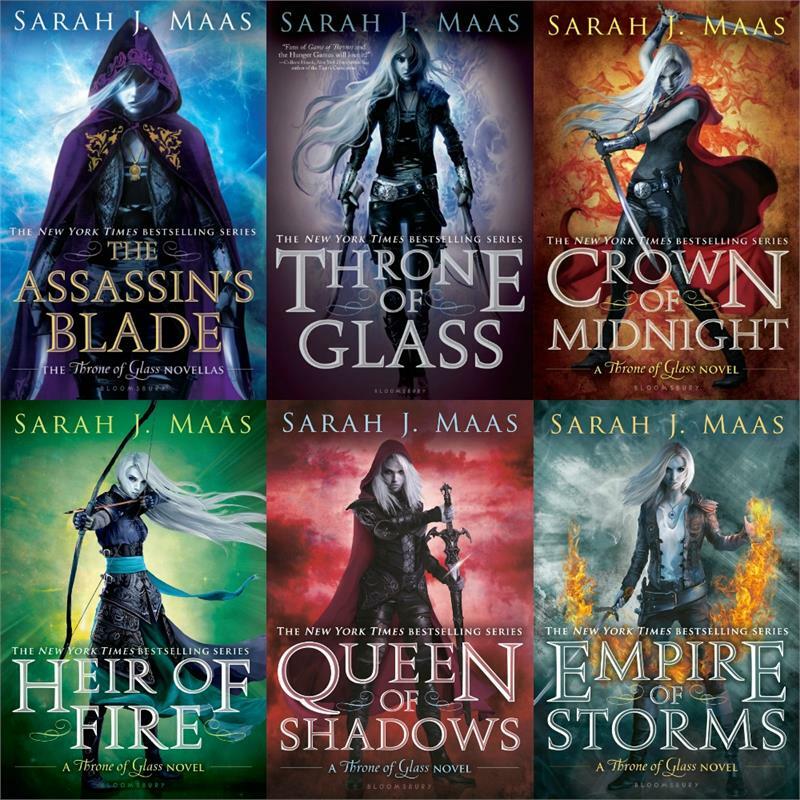 I love making lists of books to read-and even though I don't always complete them, it usually inspires me to get around to books that I've been "wanting" to read for quite some time. I'm currently in the mood for some rereads and YA lit...which has been my mindset since June. I'm enjoying myself and all these rereads and fun YA titles, so this list follows that same vein. It's helping me stay focused as the school year begins, and having some comfort reads is forcing me to make time to read-something I let slip by last school year. Anyway, here is my list, in no particular order. 1. 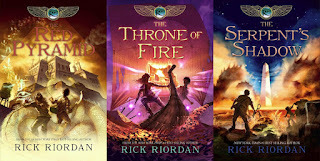 The Heroes of Olympus series by Rick Riordan: Back in 2012 or 2013, I read the first 4 books of the series (I thought there were only 4...). Much to my dismay, as I neared the end of book 4, I realized there was another unreleased title. And I was uber sad. So, I bought book 5 the day it came out, and it is still sitting on my shelf waiting to be read. 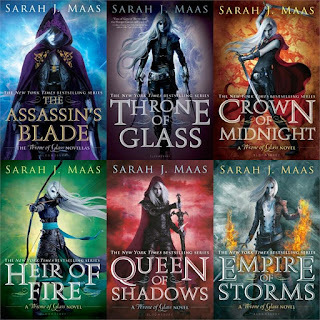 I'm currently on book 3 (just started it this evening), so I know I'll get to the next 2 books soon! 3. Replica by Lauren Oliver: I've read every Oliver title, so it makes sense to read this one too. :) Some I've like better than others, but I usually find them to be fast, fascinating reads. 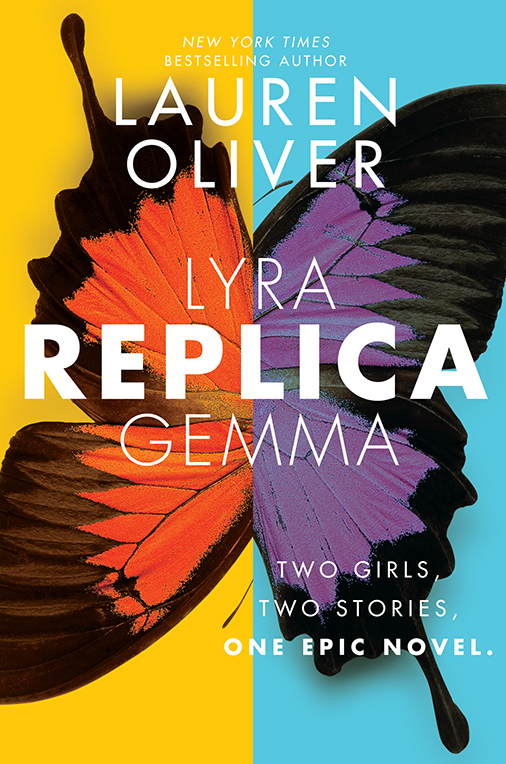 I enjoy Oliver's writing style! 4. The Kane Chronicles by Rick Riordan: In my attempts to read from my own shelves, this is another series that has been sitting for far too long. I bought each title as it came out, so I think its time to read these as well! 5. 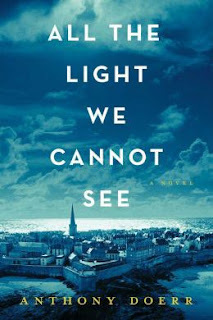 All the Light we Cannot See by Anthony Doerr: This is another title that I was super excited to read when it came out, and I bought ti shortly after. And yep. It's still sitting on my shelf. Some women at work were talking about it the other day, so I moved it to my nightstand in anticipation. 6. 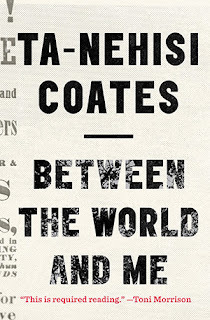 Between the World and Me by Ta-Nehisi Coates: I actually started this one back in August, and set it aside for something lighter. But I know I need to read it and I enjoyed the chunk I read in that sitting. 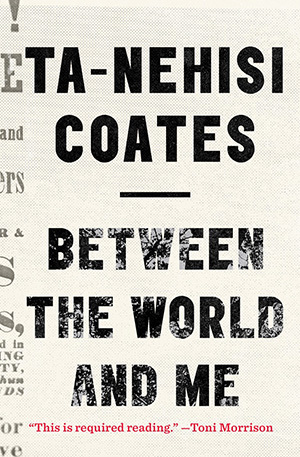 I think it'll be a good read, especially with all that is going on in the U.S.
8. The Girl with the Lower Back Tattoo by Amy Schumer: I think Schumer is hilarious. And I think this would be a perfect gym listen. 9. 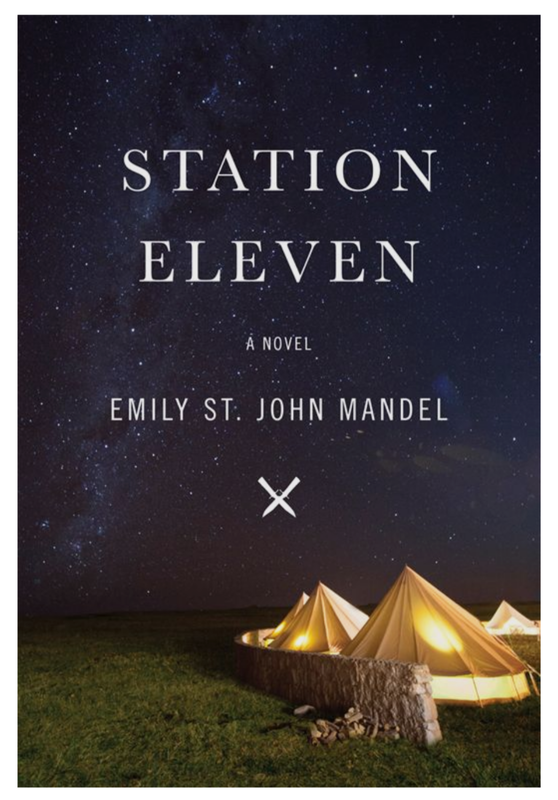 Station Eleven by Emily St. John Mandel: A parent volunteer in our media center (who I love), recommended this to me last year, so I picked up a copy. She said it reminded her a little of The NIght Circus, which I just read this summer and truly enjoyed. 10. 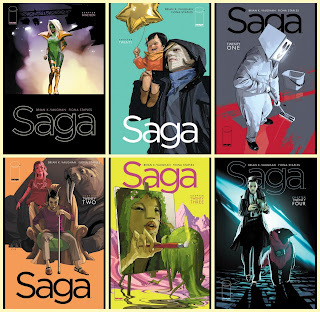 Saga, Volumes 4-6 by Brian K. Vaughn and Fiona Staples: I read volumes 1-3 in a matter of a couple days over the summer and fell in love with the world and the story. I don't read many graphic novels (leave me suggestions! ), but I know this series is something special. I'm hoping I can get my hands on the next 3! What are you planning on reading this fall? Let me know below! On Finding A Work/Home Balance. I had an incredibly difficult school year last year, which is part of the reason why I disappeared from the internet, blogging, and reading. There were many factors-among them: a tense relationship with a co-worked turned toxic, too much grading, and too much pressure put on myself. I was also horrible at managing my time and giving myself the space and time needed to focus on myself. By the time school ended in June, I was ready to leave. I was exhausted in a way that I haven't been in years, and I was done trying to keep it all together. I walked out of there on the last day of school ready to get back to myself and make a better plan for a healthier lifestyle overall. The truth is, I'm a workaholic. I love working, and I love being busy. And with teaching, there is always something you can be doing-grading, lesson planning, writing emails, volunteering for committees, hosting clubs, and the list goes on and on. My problem is that I solely focus on these things September-June. And I use the rest of June, July, and August to recuperate and rest up before running another marathon. And last year, it caught up to me. Perhaps it was the stress of teaching two hours of an AP class and the immense amount of grading that came with it, or perhaps the tense working environment, but I felt overwhelmed for a majority of the year. In October (nearly a year ago), my grandmother passed away and I was out for a week. And I felt that I was playing catch-up after that all year. For months. It also put me into an incredibly bad place, that was only amplified by conflicts at work. For months I felt I was skating around tension, barely keeping my head on straight...and I lost all sense of myself. I'm trying really hard to fix that this year. I'm no longer teaching AP history, and while I miss it, I'm grateful for the change and the reduced workload. I didn't start out my year with 70+ essays on the first day. I'm not spending hours preparing lecture notes and finding historical documents, and putting it all together to fit into a week's span of classes. I feel a lot lighter letting go of that course, and the tension it brought with my co-worker. I feel free. And much more like myself. I'm also working to be better about creating a division between work and home, especially with grading and lesson planning. I brought work home with me every night last year. And grading every weekend. By March, I was tallying up the hours I was working at home (which I am in no way compensated for), and it was reaching ridiculous numbers. It was not uncommon for me to spend 12+ hours every weekend grading and planning. So, this summer I decided I needed to figure out how to grade smarter. It starts with making the determination that I don't need to collect every thing I assign. I've known for a few years that I needed to stop doing this, but I think it finally sank in. And after talking with colleagues in both my departments, I realized they were collecting and grading far less than I was. I also decided I needed to utilize the kids more-let them grade short multiple choice quizzes in class, so I would just have to scan and enter them. And, by being more selective of the assignments I collect, it puts more pressure on the kids to make sure they are keeping up. I also made the decision to set aside my weekends for myself. For the most part, I'm going to try to NOT grade on the weekends (Unless I have essays). If I bring home something, I can set a time limit. Otherwise, it can wait. This hopefully allows me to be an actual adult-to clean and do laundry and not feel like those chores are taking away my work time (that's an unhealthy thought, you know?). I'm also setting aside more time for myself on weeknights-leaving school at a reasonable time (4 instead of 5 or 5:30), and leaving work there if I know I won't get to it. Allowing myself to go to the gym afterwards to decompress and feel better. And letting myself read a little. 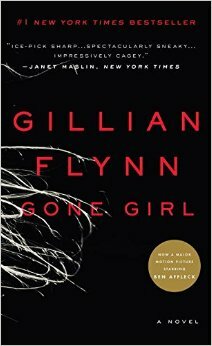 Because I went 4 or 5 months without reading last year....and it was horrible. Truthfully, I'm only 2 weeks into the year and while I've failed at some of these things, I'm making strides and feeling better about the balance I'm making between my work and my home. I can still be a great teacher without killing myself and pushing my body to the brink of exhaustion. And I can still have me time and be a human without it hurting the quality of my work. I still have a ways to go to get it down, but my routine is better and I'm feeling better about the changes I'm making. How do you make a balance between work and home? Can you give me any other tips? Roughly 7 years ago, on September 1, 2009, I decided to start my little blog here on the internet. And while I'm a few days past that anniversary, it did get me thinking about coming back and trying. Again. I can't make any excuses that haven't already been written here. I had a very busy, and very difficult, school year last year. The last 3 months of the year were the worst, and I plunged into a deep depression that didn't go away until early July. I took the summer off and planned on reading and relaxing. And trying to get back to myself. School starts tomorrow and I feel more than ready to get back into the swing of things. I very much lost all sense of myself last year. I spent most of the year in a fog and there was no work/home balance. I had no idea how to make more time, as I was consumed by prepping/grading a difficult course and maintaining my sanity. This year I have a new schedule and I'm teaching a lighter load (in terms of grading responsibility). I'm excited to finally have that work/home balance I've been craving since starting in this position 5 years ago. I'm finally feeling super confident in my abilities and I have enough lessons under my belt that I don't have to obsess over the planning aspect of my job. This summer I had intended on returning to blogging, but truthfully, I was enjoying my time reading, relaxing, and spending time with my husband. I also started up a new work-out regimen and have had a lot of success. I'm excited to continue all those things moving into the school year, but I want to add blogging back into the mix. I'm shooting for 1-2 posts a week. I mean, I have a ton of books to talk about. And other things. I doubt I will ever return to the blogger I used to be. For awhile, I really lost sight of the importance of reading in my life (I went 4.5 months earlier this year NOT reading. Anything. I think that added to my poor mental health). I've been reading a lot of YA and few classics, which is okay. I'd like to read more oldies, but right now, it's enough that I'm reading. In any case, I'm here to revive this dead space and begin again.